Our company offers various cleaning services and solutions for not only carpets, but for upholstery, tiles and rugs as well. When it comes to carpets, regular cleaning is highly important. Waiting too long to refresh your carpets and bathroom or kitchen tiles can cause dirt, grime, odor and more to settle into the material or into the grout and grab onto moisture, locking it in, and causing mold and mildew to develop. Regular upkeep is the solution our cleaning professionals can provide to you. Contact us for more information regarding our cleaning services, and let us know what we can do to make your home or business fresh again. Are you interested to see the stains removed once and for all? Call our number today to make an appointment! Carpet Cleaning Azusa is very experienced with stain removal and is the best with the removal of all bad odors, too. We use the best ecofriendly products, excellent machinery and expert cleaners. Don't hesitate to ask us about our prices! Call Carpet Cleaning Azusa and its customer service will give you quotes! 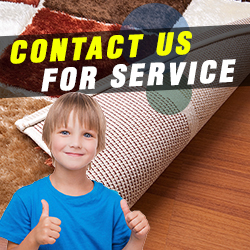 Trust our knowledge and expertise for the best carpet cleaning, spotless tiles and mold removal. We offer same day services and consultation. Call our offices today! We are the best commercial and residential carpet cleaning company in California with a great reputation thanks to the expertise of our staff. The well-trained personnel and the quality of our equipment ensure immediate stain removal and excellent carpet cleaning services. Top carpet cleaning and mold removal services by top specialists.